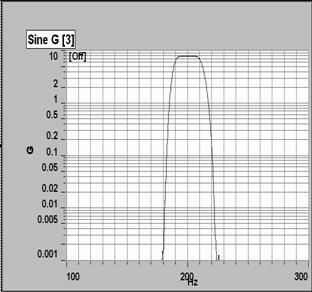 channel count swept sine tests can be performed without degradation in control loop performance. 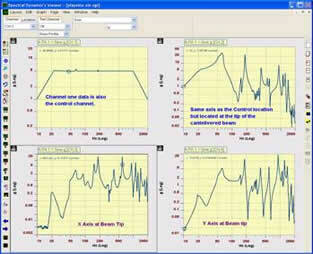 Overall test level control, where we do not care about what frequency causes the response energy. Fundamental Control, which requires Tracking Filters. Signal Generation hardware matters. PUMA generates harmonic free analog quality Sine signals that permit remarkable resonance control and accuracy. NOT generating Harmonic content, means the power amplifier WON'T receive high frequency energy which it CANNOT reproduce, thereby removing another worry from the Test Professional's mind. Nearly all tests presume Tracking Filters are being employed. PUMA provides True analog quality tracking filters created in DSP with the same Sine-Co-Sine Heterodyne method SD patented in 1961, If you must test to MilStd expectations, you must use tracking filters. FFT based processes DO NOT yield the same accuracy that Digital Tracking Filters offer.